The amazingly one-of-a-kind American band residing in Berlin is back with a new absolutely amazing album. 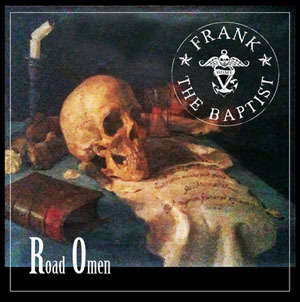 On "Road Omen", Frank The Baptist offer nothing but good and profound rock music presented to us with a gothic touch. From the intro until song 11, The Lotus, the unique voice of Frank Vollmann gives one goosebump after another. This great song 'The Lotus' is an epic gift of courage and light. What a nice way to complement the album!